UK pop punk has slowly been making its way into the ears of many across the pond, with bands like Me Vs Hero, Save Your Breath and Neck Deep taking charge in recent years. Another band that has been making some noise recently is Eastbourne's Roam. The five piece's first EP, No Common Ground, was released about a year ago. The songs on that EP were solid, but they lacked anything out of the ordinary and sounded much too similar to old The Story So Far material at times. 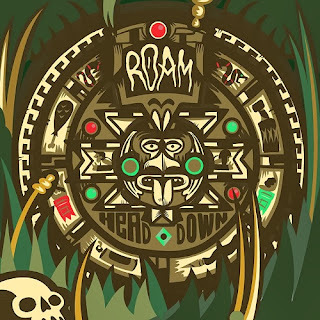 Considering that Roam had just formed a few months prior, though, this was expected; however, the band's new release is a bit of a different story. Head Down, which is set to release on November 18, is a five-track EP that displays the growth of Roam in the past year. It opens with "You Never Said" – which is the most complete song on the EP and my personal favourite. The chorus is huge and it's definitely the high point of the song, but the interlude and outro are also very impressive. When things pick up again after the interlude, I always find myself singing along, "I always take things too far, but I think that just makes me human." Clocking in at 1:20, the next track is a quick one. "Sticker Slap" is a pretty straight-forward song with pounding drums and fast vocals, yet I still find myself really enjoying it. The outro is definitely my favourite part, as it immediately reminded of Sum 41. Up next is "Nothing In Return," another track with a strong chorus both vocally and instrumentally. The drum fills heard in "Nothing In Return" are particularly impressive, and it's hard not to air drum along to them. The final two tracks, titled "Foresight" and "Head Rush," are also very strong. "Foresight" features an infectiously catchy chorus and an excellent bridge where the lyric "I feel like everyone my age is twice as far into their lives with better jobs and more insight..." is heard. "Head Rush" closes the EP with an onslaught of solid riffs, upbeat drumming and fast Parker Cannon-esque vocals. The interlude is also a noteworthy aspect; it's a nice break from the up-tempo style of pop punk heard on the majority of this 14-minute EP. Although it is still very clear that Roam is heavily influenced by The Story So Far, the music no more sounds like a carbon copy. The vocals are similar in both sound and style, but the heavy English accent is more than enough to distinguish vocalist Alex Costello from Parker Cannon. 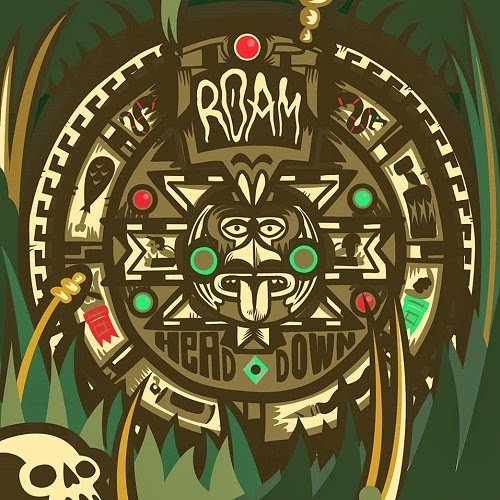 Similarly, the instrumental aspect is heavily influenced by The Story So Far, but there is much more of Roam's own flare on Head Down than there was on No Common Ground. Furthermore, the addition of slow (and almost emotional) interludes on tracks like "Head Rush" and "You Never Said" are excellent and something that you don't hear too often from fast-paced pop punk bands. If you enjoyed No Common Ground, you will definitely like Head Down even more because it's a much more polished version of Roam's debut. If you weren't really feeling the band's older material, be sure to check this out because, as I said, it is a much more solid and well-thought-out release. I enjoy it so much that I'd have to say it's my second favourite pop punk EP of 2013, just behind Knuckle Puck's The Weight That You Buried.